They say that after the universe stops expanding outward it'll contract again, growing smaller and smaller until converging in on itself in a kind of reverse Big Bang. Over the course of Game of Thrones, we've watched the world of Westeros and Essos expand almost exponentially beyond its bounds, with a gajillion new characters and place names introduced nearly weekly at the show's peak. But, as the seasons began to shorten -- Season 8 only has six episodes, though a few will be as long as movies -- the world grew smaller, with Daenerys, her dragons, and her army crossing the Narrow Sea more than a season ago and leaving the arid eastern continent behind for good. In the show's final season, the show will mainly follow the action of only two places: Winterfell in the North, and King's Landing in the south, perhaps with a few detours to smaller cities along the way. 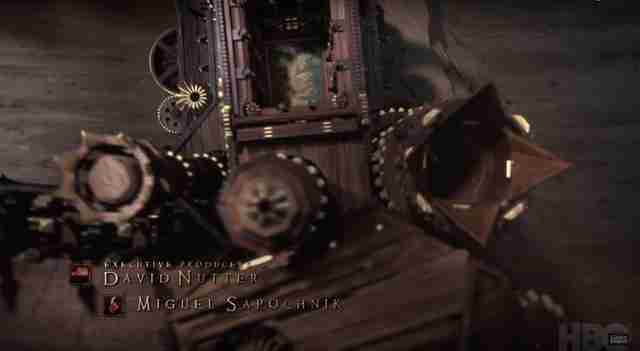 The show's clockwork-inspired opening credits, which had long acted as an equivalent to the front cover maps from George R. R. Martin's book series, were used as a reference point and, at times, clever foreshadowing of events to come, as they flew the viewer from King's Landing to Oldtown to the Wall to the Twins to Meereen to Dorne to Braavos. Now that the action is taking place mainly in two locations, the show needed a credits sequence to reflect that. Anyone who'd ever seen even one episode of the show was in for a shock on Sunday night, when, after a lengthy recap that reminded you of all the important stuff that had happened so far, we were treated to a wildly altered credits sequence. Instead of starting at King's Landing and moving upwards, the sequence begins at the huge dent in the Wall zombie Viserion made last season, which allowed the Night King and his undead army to come marching into Westeros. A series of tiles on the ground flip to reveal the Army of the Dead's progress to Last Hearth, a location we've never been to before in the show but that's been referenced as the seat of House Umber (the dark purpose of this location's inclusion was revealed towards the end of the episode). Then we journey to nearby Winterfell, starting with the huge red-leafed weirwood tree and sailing through the grounds into the Great Hall. Then it's down into the crypts, where the statues of Ned and Lyanna Stark watch over the Stark dead. We subsequently travel straight down to King's Landing, where we watch the Red Keep ratchet up from the ground and zoom down the spiral staircase into the dungeons as the huge skull of Balerion the Dread snaps shut with a clang. Next, it's up to the Throne Room and the Iron Throne -- the first time the Iron Throne has ever been in the credits of the show, despite the fact that it's the one thing pretty much everyone wants. Even though they only depict four locations, the new credits contain a ton of detail. 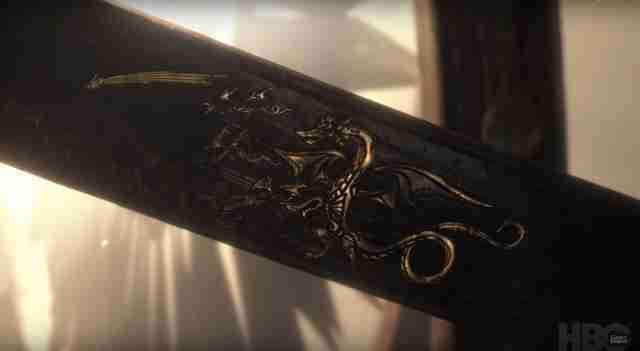 There's a Lannister sigil over the Iron Throne, as, for now, it's Cersei's seat of power. Those tiles indicating the Army of the Dead will probably creep ever further south as the Night King closes in on his target. If you look really closely, you can see the spiral hill Last Hearth sits on, which echoes the creepy designs the White Walkers love to make out of human body parts. They even managed to get in Cersei's giant map of Westeros on the floor of the Red Keep's courtyard. The whirling astrolabe, which acts as the map's artificial sun, has different designs on its rings this time: the scenes depicting the Doom of Valyria, Robert's Rebellion, and House Baratheon taking over the kingship of Westeros have been replaced by more recent events, in reverse order. First, we see Viserion and the fall of the Wall, then the betrayal of Robb Stark by Walder Frey, and finally the birth of Daenerys' dragons, heralded by the fabled Red Comet. It's an extremely clever little surprise, and it's something that the designers at Elastic, the company responsible for the credits sequence of Game of Thrones, as well as others like Westworld and True Detective, have wanted to do for a really long time. "They said, 'Let’s blow it out,'" CG art director Kirk Shintani told Buzzfeed News of his meeting with the show's executives. "'All the things that you wanted to do, let’s do it.' For us, seven years of ideas just started pouring out." 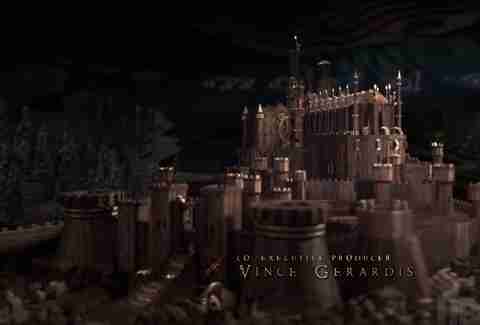 We can probably expect some new locations to pop up in the credits of the next few episodes, as Game of Thrones' credits sequences have always been a little bit different every time, depending on where the main characters are in the world. If this episode's sequence was any indication, they'll probably be riddled with little clues. It's a fitting way to present the show's final season: Our heroes now live in a world that feels much smaller than it did at the beginning of their journey, facing a conflict that could decide the fate of everyone in it.